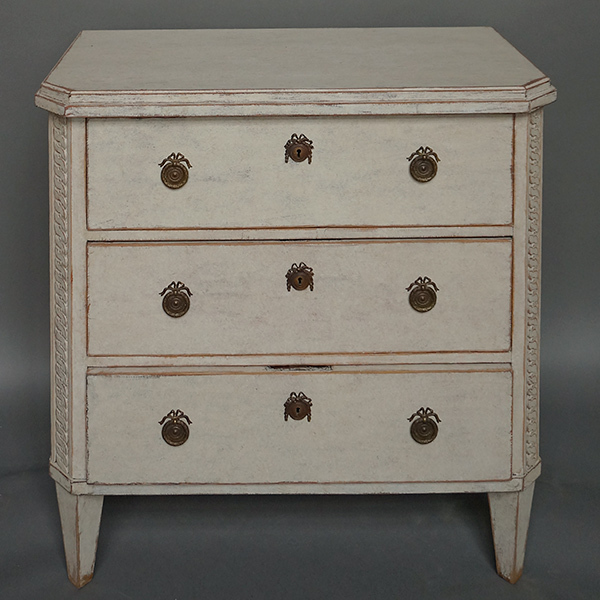 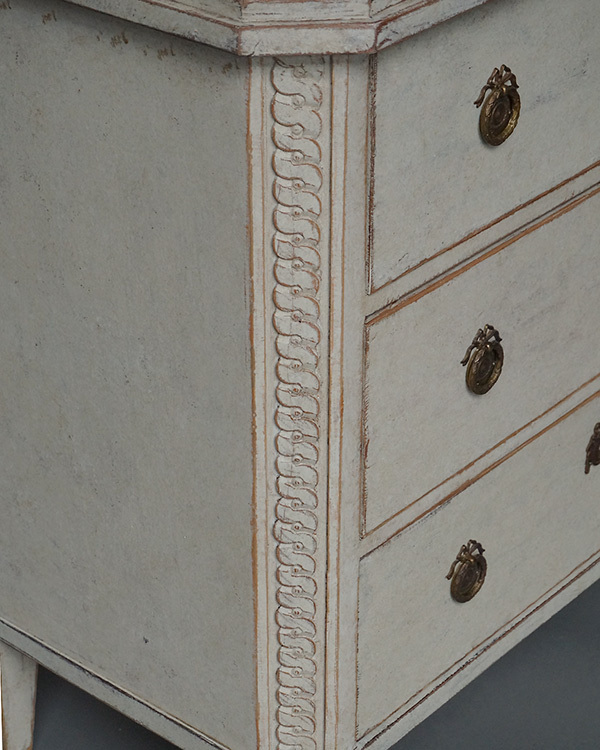 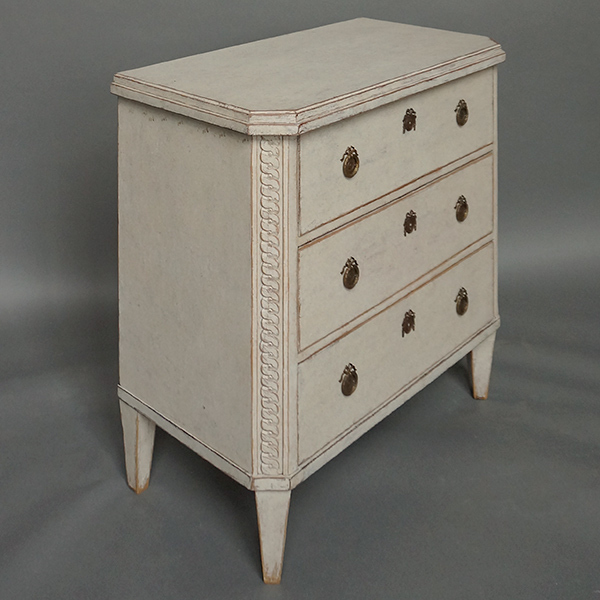 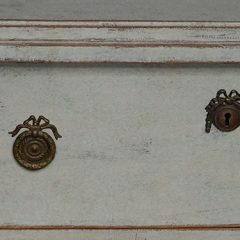 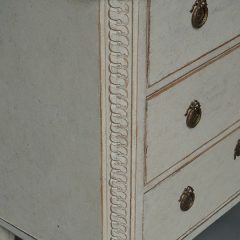 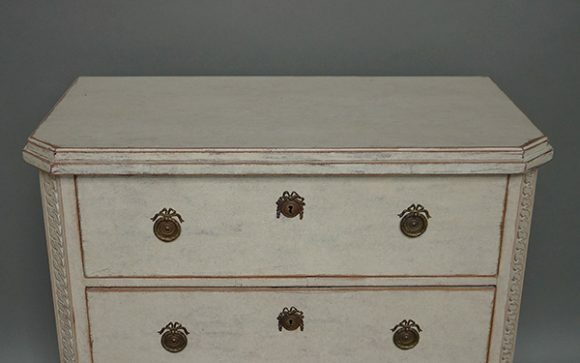 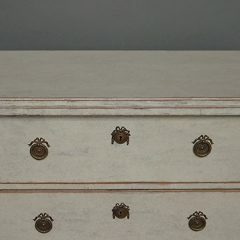 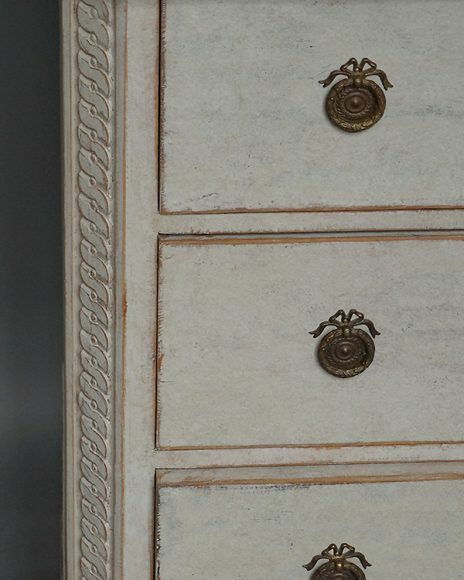 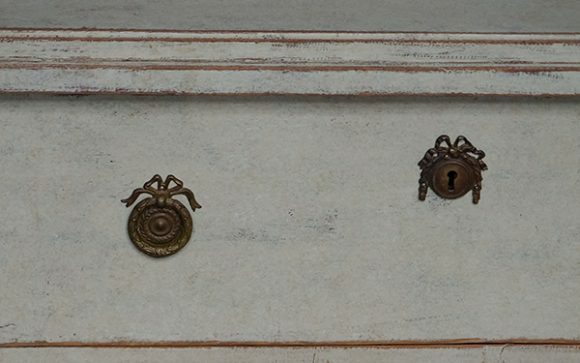 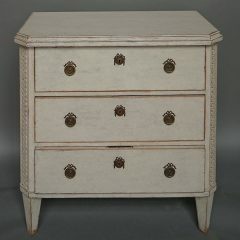 Swedish three-drawer chest, circa 1880, in the neoclassical style with shaped top and canted corners. 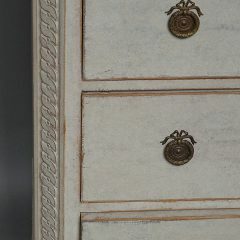 Guilloche carving runs from top to bottom on the sides. Tapering square legs.